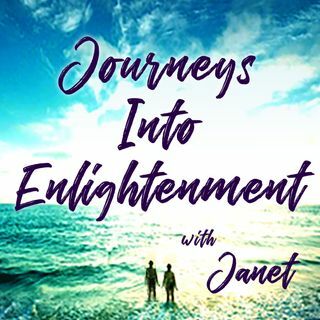 In Episode 5 of Journeys Into Enlightenment with Janet will look at how we embrace the Unknown. How do we allow for something different when we want some thing different? The some thing is the known. Being comfortable with some thing different is all about appreciating the Unknown and using it as the agent of transformation. The Unknown is Potential. Janet and her friend Bud Jahn will explore why we may be finding ourselves in resistance to what is possible. Bud Jahn is currently a Certified ... See More Alexander Technique teacher with the Contemporary Alexander School of the Alexander Alliance USA. A former engineer in the oil industry he combines strong intuitive skills and his deep appreciation for the poet Rumi as an active student of conscious awareness.